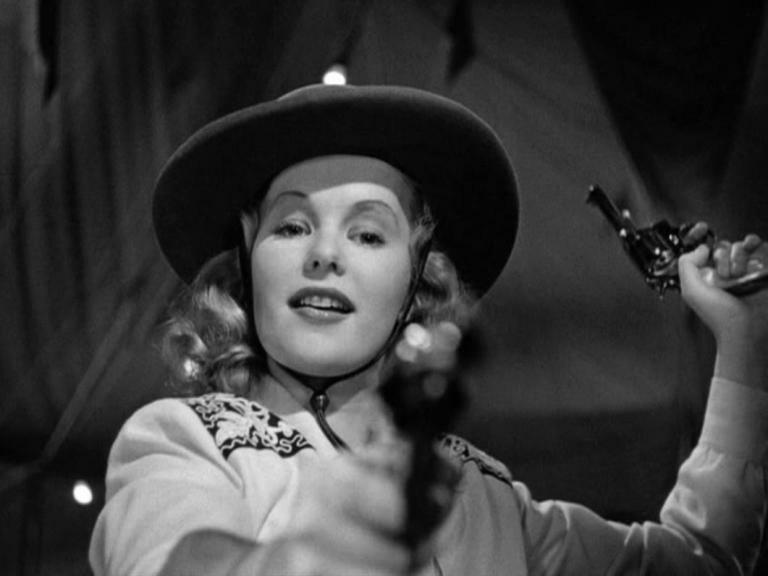 Annie Laurie Starr (Peggy Cummins) brandishes a pair of pistols in a scene from the 1950 film, Gun Crazy. Star of the 1950 film noir classic, Gun Crazy, as well as cult horror Night of the Demon, dies. No further news articles about Peggy Cummins.